Completion of the Nkawkaw-Atibie road still lingers on due to lack of funds by government although there has been much improvement. Agoo news can confirm there is much improvement on the construction of the road as compared to last year in August 2016 where the road which was under construction developed potholes and gullies. 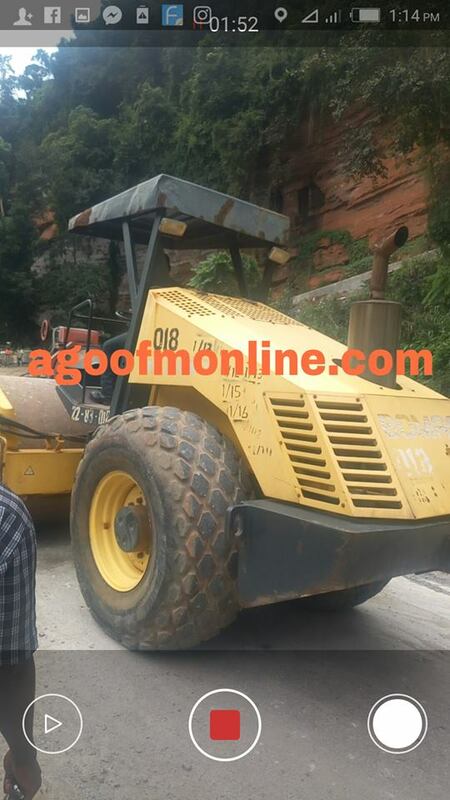 Nevertheless, after a hiatus of construction works the road is almost completed but information gathered by Agoo news indicates that, the contractor may need additional funds to expand certain portions to prevent a “one lane” thoroughfare. The road construction which is being financed by the government was awarded on contract in 2012, but work commenced in July 2014. The nine kilometer road was expected to be completed in January, 2016. 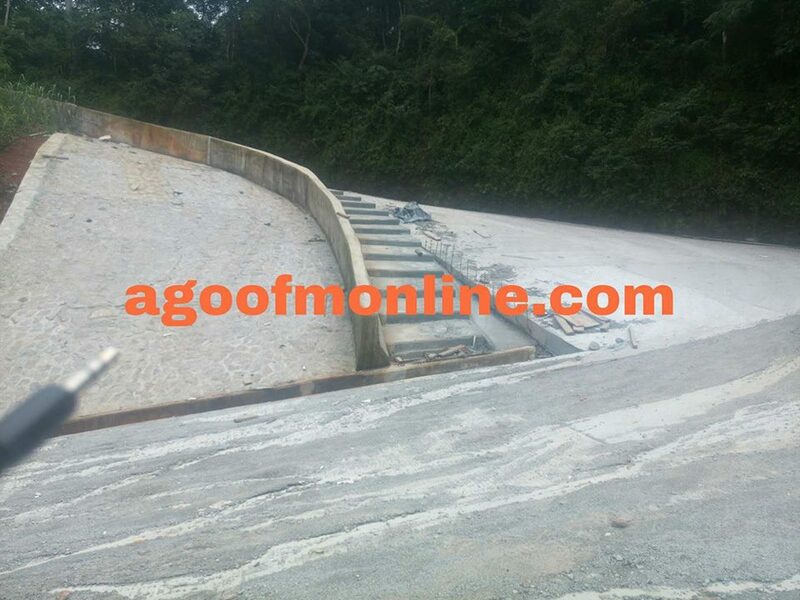 In April 11, 2016, the Chief of Kwahu Atibie, Barima Kwame Asante Beteani II, in an interview with Agoo news, threatened to lead a massive demonstration against government if nothing was done about the road for an ultimatum of three months. The government responded quickly and work began. 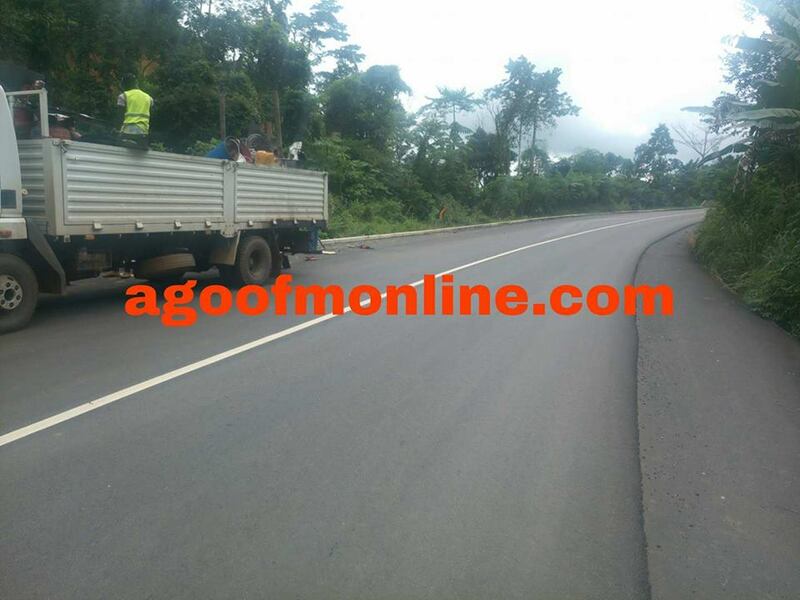 The ex-President John Dramani Mahama promised to ensure that; Messrs Sonitra, the contractor for Nkawkaw-Atibie road, was back on site to complete the road as soon as possible. The road work which started in July, 2014, was abandoned by the contractor in November, 2015 for non-payment of certificate by the government. President Mahama, addressing a durbar of chiefs and people of Kwahu Abetifi as part of his” accounting to the people tour” of the Eastern Region, stated that the project was being funded by Government of Ghana (GoG) and sometimes the funds delayed in delivery which had caused the contractor to move his equipment out of the site. 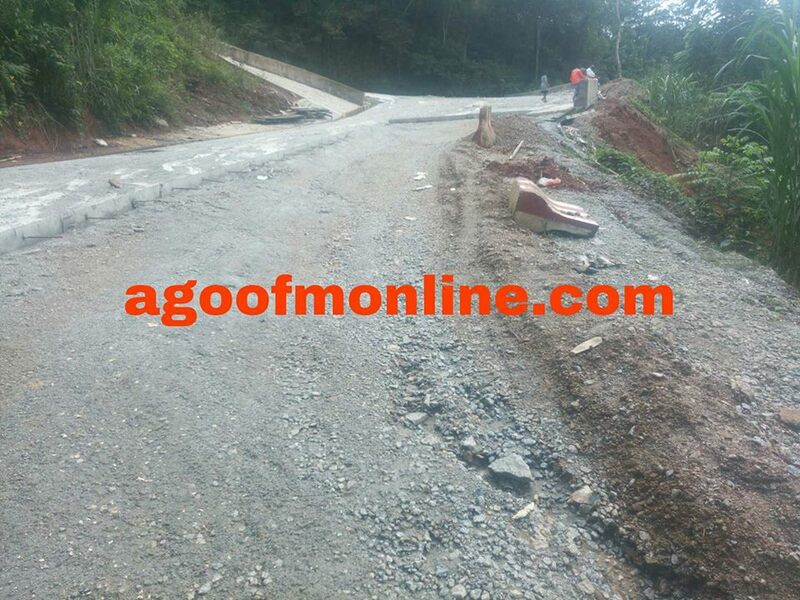 In a latest development, the road has been asphalted with a concrete ridge pavement constructed at the sharp curve portions with defense walls making the road exceptional and attracting praises from some residents. 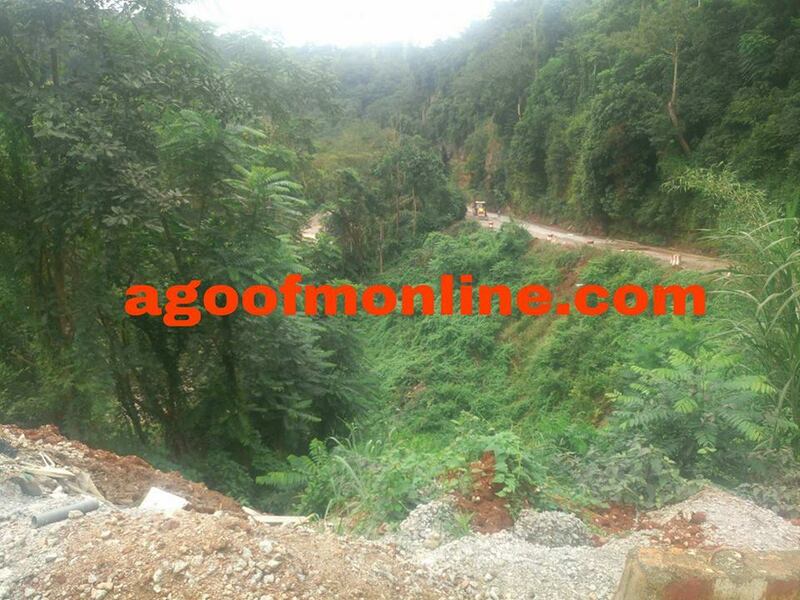 Agoo news’ checks reveal a portion of the road which is about 50 meters long should be expanded and must be filled from downwards to avoid accidental situations where vehicles will fall in the deep valley. However, in a latest interview with Ebenezer Kojo Nyavor, Berimah Kwame Asante Betiani appealed to the president H E Nana Nana Addo Dankwah Akufo Addo to as a matter of urgency support the contractor to build a defense wall to avoid rampant accidents. He reiterated his earlier call to lead a massive demonstration if government fails to support the contractor calling upon the people of Kwahu to support him. In a quick response by the Municipal chief executive for Kwahu West Assembly Hon Yaw Owusu Addo on Agoo FM’s news analysis programme “na wo ka no sen” anchored by Obahemaa Nana Yaa Mirekua, he said government is aware of the problem and assured that government is making the necessary arrangements.